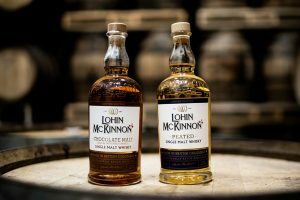 SURREY, BC – Lohin McKinnon has released two new seasonal whiskies, Lohin McKinnon Chocolate Malt Whisky and Lohin McKinnon Peated Whisky! The two new expressions of Lohin McKinnon build on the previous success of the small batch seasonal whisky program. Notably the Canada 150th Anniversary Barley and Rye Lightly Peated Whisky won the Award of Excellence Innovation and a Silver Medal at the 2018 Canadian Whisky Awards. 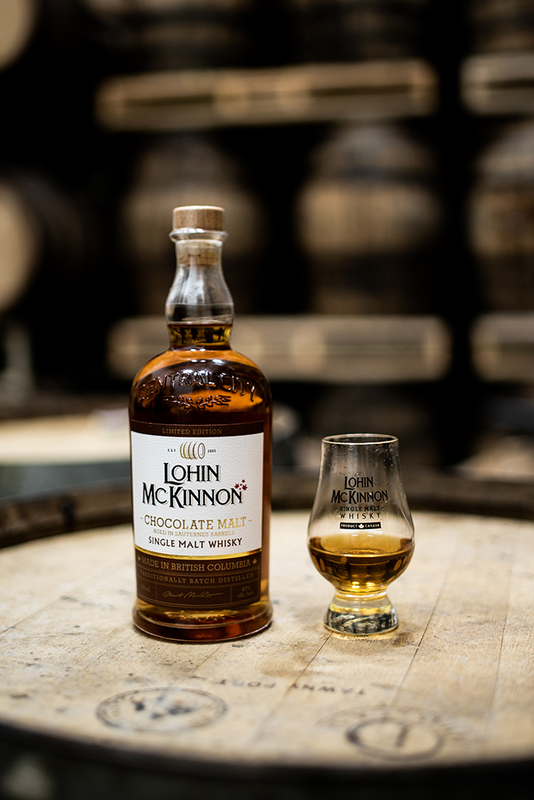 Crafted with highly kilned chocolate malted barley, the Chocolate Malt limited edition single malt whisky exudes notes of vanilla and chocolate. 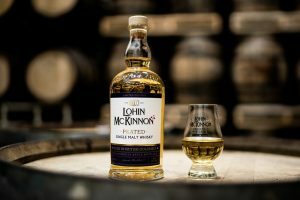 The Lohin McKinnon Chocolate Malt Whisky is the first Canadian whisky featuring chocolate malted barley with an additional layer of unique complexity having aged in French Sauternes wine barrels. Lohin McKinnon Peated Whisky is a tip of the hat to classic Scottish style with authentic Canadian craftsmanship being made with peated malt from Scotland. Notes of earthy smoke add depth to this handcrafted single malt whisky and offer a peaty experience perfect to enjoy on its own or paired with summer barbecue flavours. Central City Distillery in Surrey, BC.